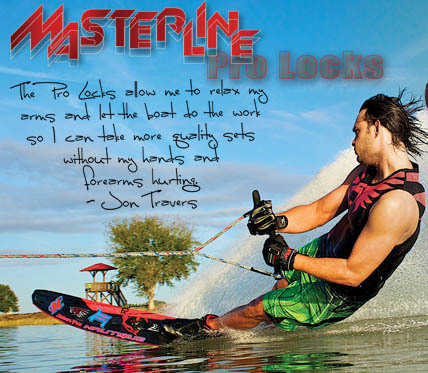 The 2019 Masterline Pro Lock water ski gloves are designed to transfer the pulling force from the hands, fingers and forearms into the bone structure to provide superior strength and endurance. The exclusive Masterline fit features palm straps with dowels for superior grip strength. This helps reduce fatigue and eliminate blisters. 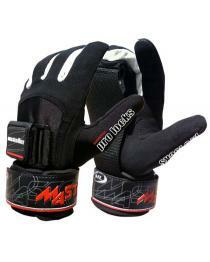 Masterline Pro Lock Gloves or Masterline Clincher Gloves have the Masterline Curved fit and Palm strap. If your fingers get tired with a lot of blisters on your fingers, these are the gloves you need. These Master Line Pro Lock Gloves have a strong palm strap reinforced with a dowel that transfers the force to your wrist and forearm instead of pulling on your fingers. Previously known as the Clincher Gloves, the Pro Lock Curves Gloves are now made by Masterline. 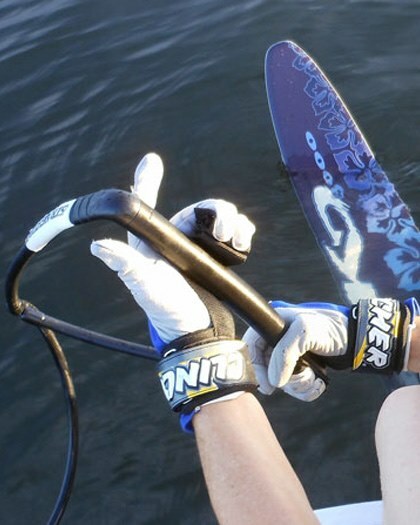 Do longer runs. 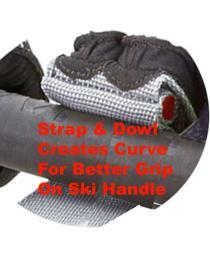 Improve your grip without use of abrasive Kevlar palm gloves which wear out the rubber on water ski handles. 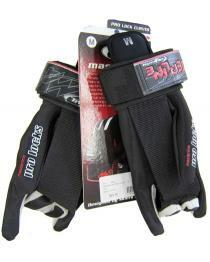 We also stock the Radar Vice Gloves which have the same Clincher grip. Please click on related products tab to see the Radar brand.